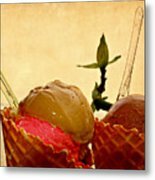 Frozen Twosome is a photograph by Barbara Zahno which was uploaded on July 25th, 2016. Photograph - Fine Art Photography Available On All Faa Products ! 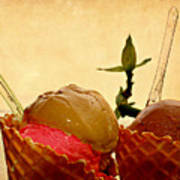 Close up photography of this delicious ice cream pair - the ideal summer and all-year-round dessert and refreshment. Nice on greeting cards, totes and as kitchen or ice-cafe wall decor. 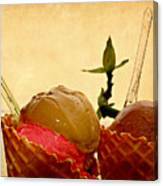 Ice cream is a sweetened frozen food typically eaten as a snack or dessert. 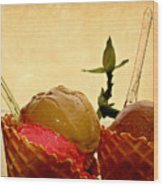 It is usually made from dairy products, such as milk and cream, and often combined with fruits or other ingredients and flavours. It is typically sweetened with sucrose, corn syrup, cane sugar, beet sugar, and/or other sweeteners. Typically, flavourings and colourings are added in addition to stabilizers. The mixture is stirred to incorporate air spaces and cooled below the freezing point of water to prevent detectable ice crystals from forming. The result is a smooth, semi-solid foam that is solid at very low temperatures. It becomes more malleable as its temperature increases. Totally Delicious Barbara. 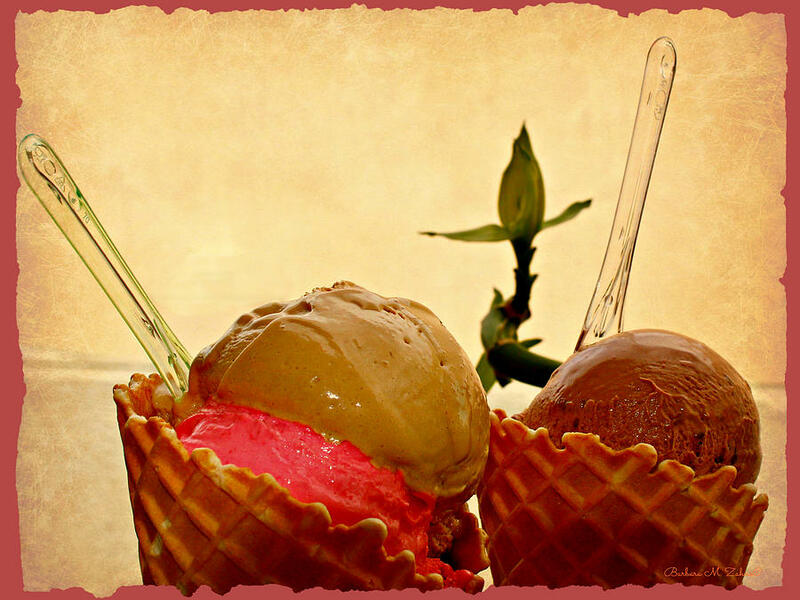 Virtual Ice Cream Delight! ;-) Congratulations on your Win at the Kitchen Art group. Thank you very much - muchas gracias, Rafael, for your nice comment! Thanks, Sarah! Something cool for a hot day!! !